Child custody disputes are commonplace during divorce. Situating the children and protecting their best interests are key parts of ending a marriage. But what about when there was no marriage. Who gets the kids? How do you decide on custody? Do you even have any parental rights? Rick: “This is a really terrific email. I gotta tell you, and everybody listening that about one-third of our cases are custody that did not involve a marriage. So it really really is prevalent and a lot of people listening are nodding their head right now. “The real issue is that, as of yet, he doesn’t have DEFINED parenting rights. Yes, he’s going to have parenting rights. Sometimes, back at the hospitals, they know when to make sure paternity affidavits were signed when a child is born, so it’s very rare even in non-married situations not to have had the father sign a paternity affidavit. “If he hasn’t, there’s still the ability to get a paternity test. So once that’s defined, once we now know he’s the father, that puts him in the same sorta status as two married people were, which means he’s got to go to court and get what we’ve talked about many times: a parenting plan. Our founding partner, Rick Jones, regularly stops by the Danny Bonaduce and Sarah Morning Show to answer listeners’ family law questions. If you have questions about divorce, custody, or other family law issues, contact Goldberg Jones at our San Diego office. 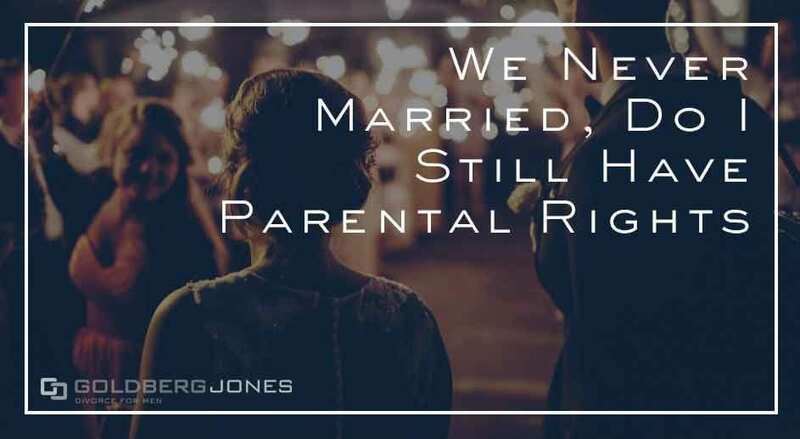 Related Reading: Do We Need a Parenting Plan Even if We Weren’t Married?